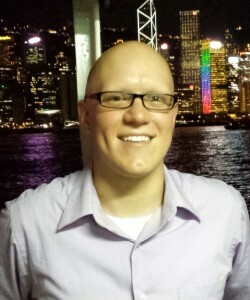 Justin received his BS degree in mechanical engineering at LeTourneau University in 2011 before entering the Ph.D. program at the University of Pennsylvania. He is now working in the GRASP Lab under the guidance of Professor Vijay Kumar, during which he has received an Outstanding Teaching Assistant Award, earned an honorable mention for the NSF Graduate Research Fellowship Program, and was the Technical Advisor for the winning team in the 2012-2013 Y-Prize Competition. He has also served as a former vice president and as a president of MEGA, the Mechanical Engineering Graduate Association. Justin’s research interests are focused on micro aerial vehicles and their extensions to dynamic grasping and vision-based control.